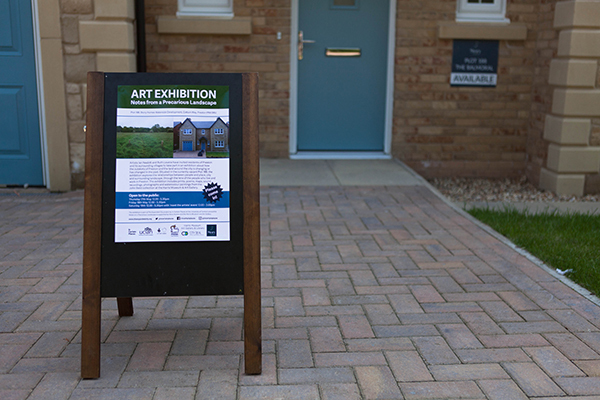 A series of artworks made in collaboration with artist Ruth Levene over a period over two years. 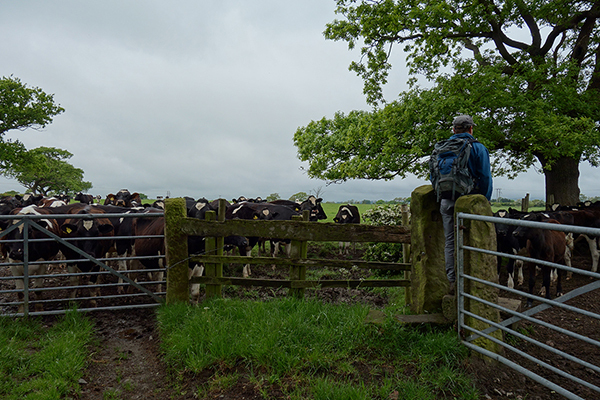 In 2016 we began examining the topography and cultural landscape of Preston by walking and recording the city’s political boundary. 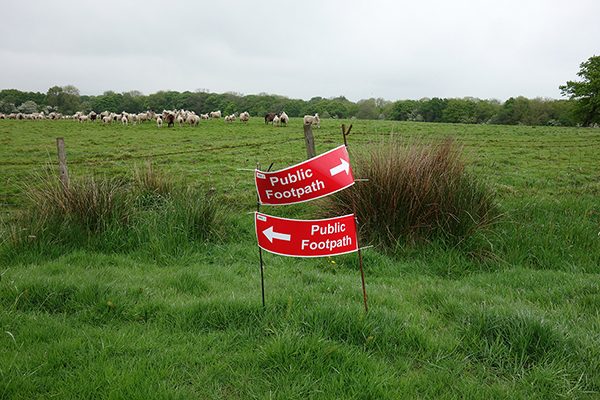 The observations and experiences gathered in this way included the neglect and destruction of certain public rights of way and the transient nature of landscape – due to development, farming and fracking in the area. This material formed the content for a performance lecture, presented during The Expanded City symposium in June 2016. 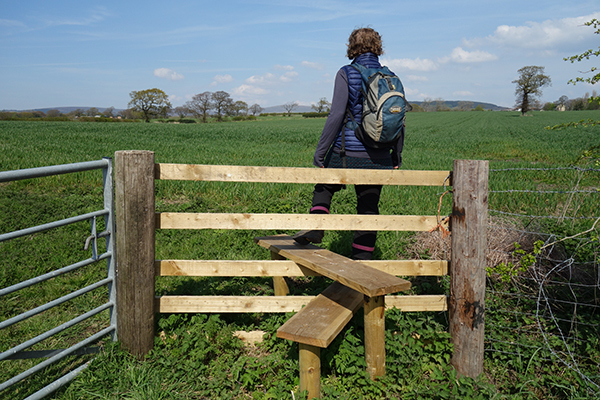 The walks enabled us to develop an on-the-ground understanding of the city’s geography, and to gain a sense of its social identity through conversations with residents. In 2017, we drew on this research to question what it means for a city to be developed and expanded. We asked what it means to the people of a city when the decisions made about its changes are beyond their control. 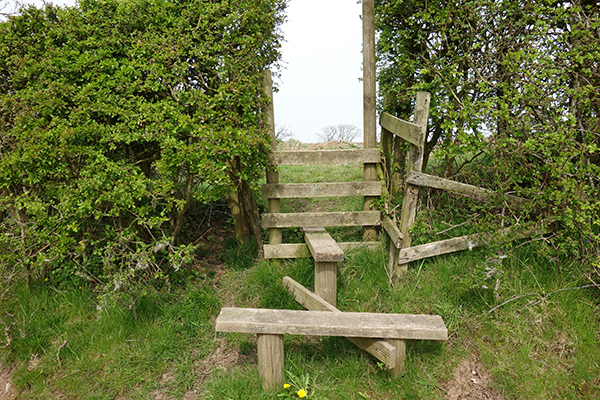 Considering the ‘spiritual’ and ‘ritual’, as well as ‘bureaucratic’ and ‘metric’, ways of connecting with and understanding place and territory we hope to build and share new ways of looking more expansively and collectively at the places we live in. 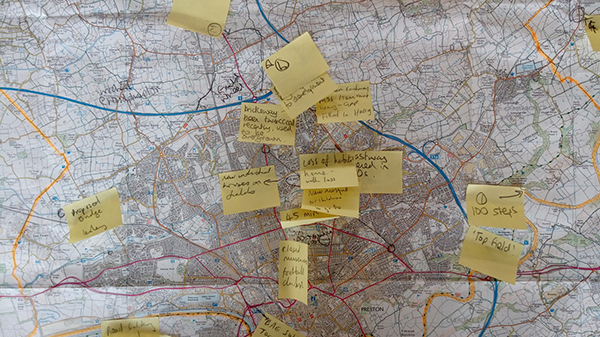 In December 2017 we took a group of participants on a location tour of the western bounds of Preston, to broaden and deepen their own understanding of the city’s edges by seeking the experience of others. 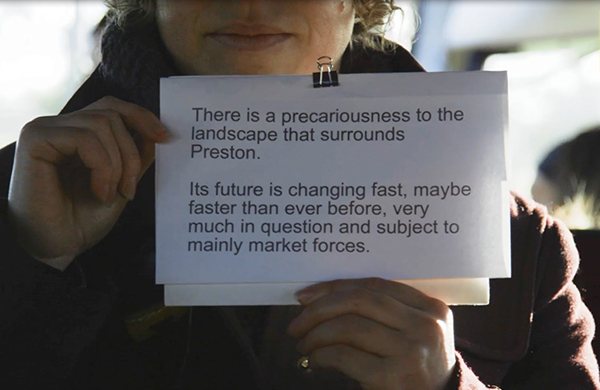 We asked the group to consider “what we have come to call the precarious nature of this landscape. What strikes us is that the forces that hold the most sway over what happens to this landscape are those driven by factors such as agriculture, housing development, roadbuilding and hydraulic fracking, in short external market forces. 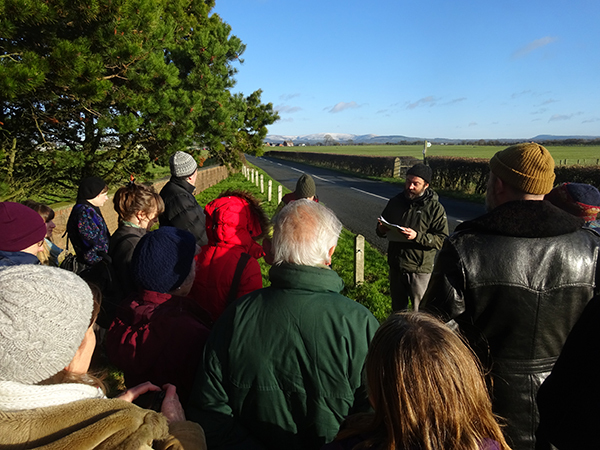 We are interested through our work in finding ways to reintroduce some other ways of understanding that same landscape, different voices that may be called upon for alternative narratives – voices from the community, from history and from the landscape itself”. 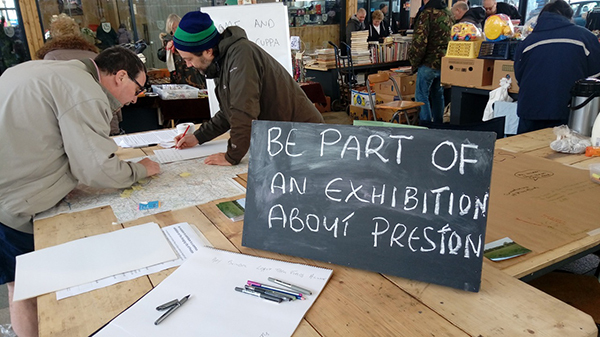 After two further public events on Preston Market and at The Harris Museum, we went on to develop a community exhibition 'Notes from a Precarious Landscape' which included contributions from residents of Preston and its surrounding villages. 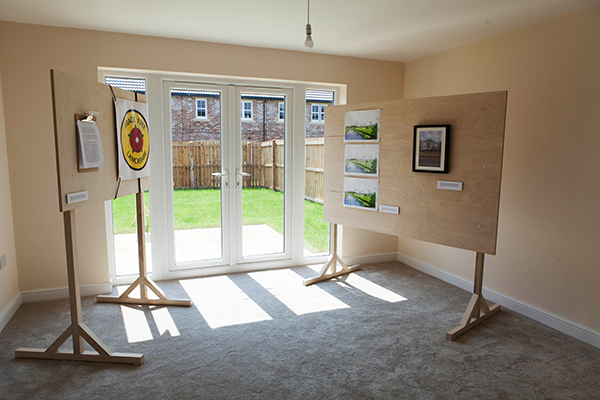 The exhibition was staged in a vacant Plot, 188, on the Story Homes Waterside development in Cottam. It explored the relationships between people and place, city and surrounding landscape, through the lens of the people who live and work in Preston and included prints, poems, maps, sound recordings, photographs and watercolour paintings from the John Weld collection at the Harris Museum & Art Gallery. 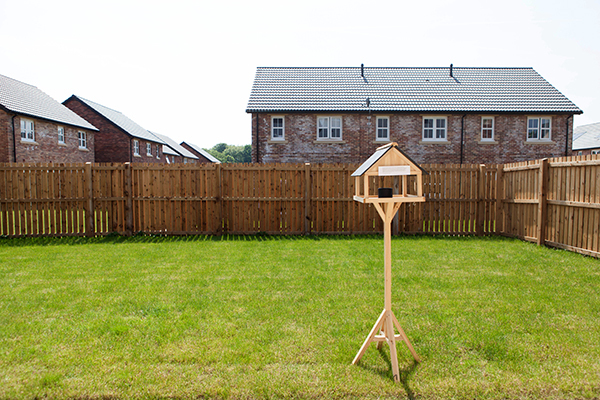 Commissioned by In Certain Places as part of the programme The Expanded City.